Dopplereffekt now confirmed as playing live for the lucky people of Paris on 9th July 2011. 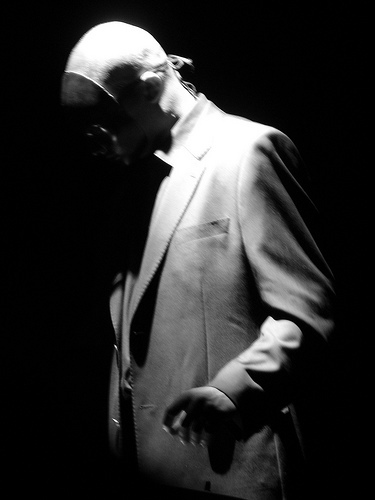 Fact magazine will be doing a live broadcast of Dopplereffekt’s upcoming show in London on 3rd June on their website. More at this link. Please now indulge my own plugging. One Minute Residency by Stephen Rennicks came out of the Trade Residency programme 2011 which is run jointly by Leitrim and Roscommon Co. Co, Ireland. This year it is being led by New York based artist David Michalek. 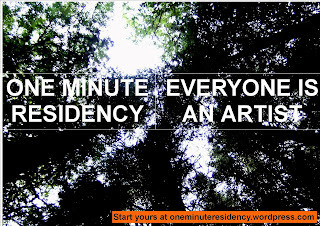 One Minute Residency acknowledges us all as creative beings, artist and non-artist alike, who could benefit from using an artist in residence model. It has been designed to provide a way to experience a residence in your own life and the everyday, to be instant, free to everyone and to be whatever you want it to be. Please share if you like it. Dopplereffekt will be playing at the end of July 2011 at a Swedish music festival called Norberg. Quite possibly to publicise this appearance there was a Swedish radio interview with Gerald Donald on 23rd March 2011 which I’m guessing you may still be available to listen to on the stations archive but maybe only if your IP is Swedish as I couldn’t play it. If anyone is able to figure it out please let me know. Here is some badly translated text from their site via GoogleTranslate. I include it partly because at the very end they tell us two answers to questions they had to take out (and that they had to distort his voice). One was about what it was like to be in Drexciya and the other was certainly news to me. He doesn’t want us to know about a character in a fictional novel by Thomas Meinecke which could be based on him. I found a link to a 2005 movie treatment for this novel, Light Blue, which does indeed mention a certain character called Heinrich. Maybe it’s a rumour the interviewer heard and wanted to follow up and quite possibly Meinecke; who is also a member of the group NSK, and Donald do know each other. Go deeper into this more personal material if you want at link below. It’s my intention to stick with his more public face but due to this info leaking into the public domain like this I don’t want to completely ignore it either. 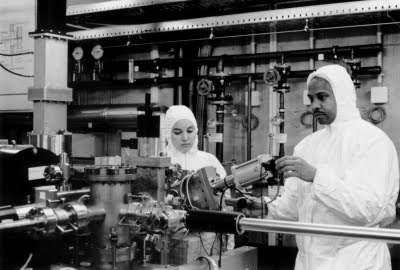 Secretive Gerald Donald is behind the legendary groups such as Drexciya and Doppler effect. He has only set up two interviews ever - and then his career about 20 years long. In a very unique interview he talks about, among other things, all the various groups he was involved in and why he is so incredibly fascinated by particle physics. 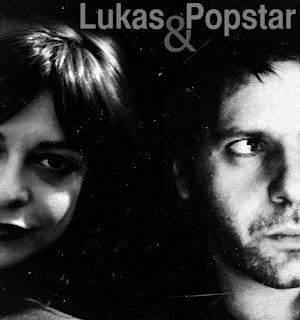 Contributors: Gerald Donald, Beta Evers from Zwischenwelt, Victoria Lukas from Zerkalo, others. Though he really has been a member of Drexciya are unclear - he has never commented on it myself. On the whole surrounding himself happy with a mysterious aura, where the important thing is not the person behind the machines. The picture he launches by itself is rather that of the scientist in the studio. There are synth is the result of technological development and research and where he carries out sound experiments that take the music forward. In the few interviews he has refused to comment much about himself. 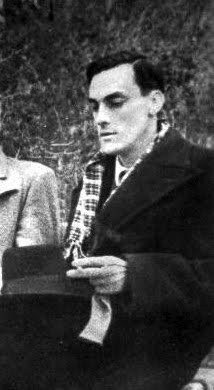 In fact, he almost never sets - which, combined with his fascinating and spellbinding electro music made that media interest around him is enormous. But mostly, he says no. It is therefore with great pride that the current in P2 presents a unique interview with Gerald Donald. However, we were forced to promise to distort his voice. Otherwise, he had not pulled their weight. In the program we talk with other who work with or have written about Gerald Donald. And their voices, we did not distort. 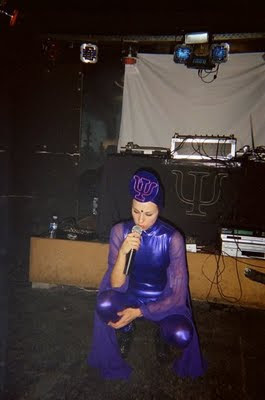 Victoria Lukas is one half of the duo Zerkalo. This project inspired her and Gerald Donald of the film director Andrei Tarkovsky. We also call up the Beta Evers - who sings in the band Zwischenwelt, where Gerald Donald is also included. In spring, the question with a new album whose theme is paranormal state. Ten years ago, the German writer Thomas Meinecke out with his novel "light blue" which Gerald Donald is with the fictitious person. Why it was so we take out. And so, we, of course, the question of what it was like to be a member of Drexciya. Gerald Donald's reaction, you take part of the program.